During my oldest son’s tenure in high school I didn’t pay too much attention to Advanced Placement classes. But when, as a freshman, he was able place out of his college’s language requirement based on his AP score in Spanish, I realized that taking AP classes and doing well in them confers certain benefits. That was eight years ago, and my first real experience with AP classes. Since then I’ve had two more sons go through the school system and I would like to share what I’ve learned about Advanced Placement classes and how important they are or are not to your student. AP classes are administered by the College Board at a cost of $94 per AP exam. Who takes the AP Exams? Right before the last administration of AP exams the College Board estimated that 2.7 million students were expected to take nearly 5 million AP exams. What subjects do AP classes cover? AP exams are given in 38 subjects, in the core subjects like English, Math and languages and also in subjects like Art History and Studio Art. Most AP exams are two to three hours long. 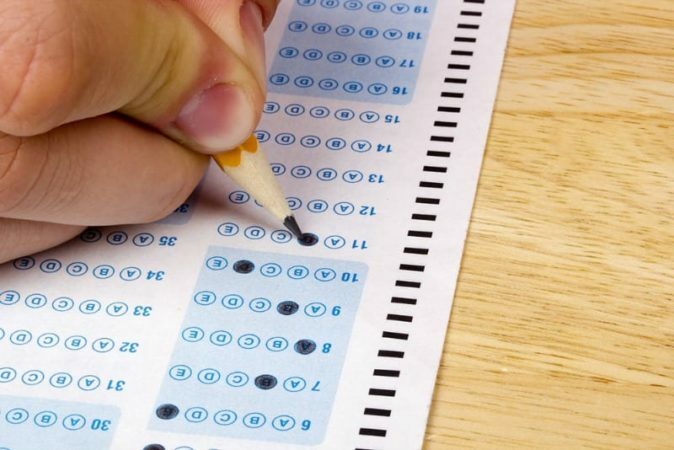 The first part of the exam generally consists of multiple choice questions and students use a pencil to bubble in the correct choice on the AP scoring sheet which is provided to them by the test administrator. The second part of the exam generally consists of questions and answers are written in the provided exam booklet. However, not all of the tests are taken by pencil and pen, some are CD based, some are taken on a computer and some require a portfolio of artwork. You must look at the specific test you are taking to get the particular requirements for that test. Generally, students take an AP class throughout the academic year and at the end of the year, the class more or less culminates with the taking of the AP exam that corresponds to that subject. However, you do not need to take the AP class to take the AP exam in that subject. A student can teach themselves a subject or hire someone to teach them a subject, take the AP exam in it and score competitively. How are AP exams scored? Students are the only ones who can direct that their scores be sent to colleges. Most send their scores to college if they score a 3, 4 or 5. The percentile of students’ earning a particular score differ dramatically from exam to exam. For instance, roughly 6% of students get a 5 on the English Literature test and 16.5% get a 1. In contrast, on the Chinese Language and Culture roughly 68% of test takers get a 5, and 5.3% score a 1. Will a Student Earn College Credit or Advanced Placement for AP classes? The short answer is, it depends on the school they attend post high school. Some schools give college credit, and some do not and the score for which a student may earn credit also varies from school to school. Another benefit that derives from high AP scores is advanced placement in college. Based on an AP score a student can often skip an introductory class in a subject or can place out of a subject entirely. You need to look at the school you’re attending to see if they offer credit or advanced placement for your AP scores. Should I push my child to be in an AP class? One of the most often asked questions on college information sessions are, “Should I take as many AP classes as I can get into?” and “Is it better to get a B in an AP class or an A in non-AP class?” The canned answer is always it is best to get an A in the AP class. But what’s the real answer? It depends on the selectivity of the college your student is applying to. Ms. Dabbar says that the more selective a college, the more competitive the applicant pool, the more likely it is that the students your child is competing with have taken a lot of AP classes. In these cases Ms. Dabbar says that, “12 AP classes is not unheard of in these highly competitive pools.” And in order to be competitive you also need to take an AP heavy course load. It depends on the classes that your high school offers. If your school offers four AP classes and your student takes all four, obviously your student will not be penalized for taking only four AP classes. But if your school offers 15 AP classes and your student takes four, it may reflect to colleges that your student is unwilling to challenge themselves academically. It depends on personal circumstances. Ms. Dabbar states that, “…family background, personal circumstances, and a student’s obligations outside of school all come into play.” In other words, taking AP classes needs to be seen in the context of each student’s complete schedule. On the positive side, AP classes are academically challenging, they provide the potential for college credit or advanced placement in college. Some schools employ their best teachers to teach the AP classes. On the con side, the classes are a tremendous amount of work, are taught to the test leaving little room for interesting digressions and often require meeting outside the classroom to finish the material before the exam. In the end, as with most things, the decision of whether to load a student’s schedule with AP classes is a calculus individual to each student. If they have a passion for a subject and they are pretty good at it, why not challenge them with an AP class? On the other hand, if your student is going to give up everything else they love doing to struggle in an AP class, then consider not taking it. The way the cost/benefit calculus falls out for your student is as individual as your student themselves. « Early Decision: No-Brainer or Big Mistake?